*Financing options now available to you! Eurovans, Vanagons, and other classic European-imported vans are the perfect adventure wagon. In the US, Eurovans are gems. Unquestionably distinct and just as capable of daily driveability as it is cross-country road trips, the Eurovan has long been one of America’s favorite vans – and one of our favorites to work on. 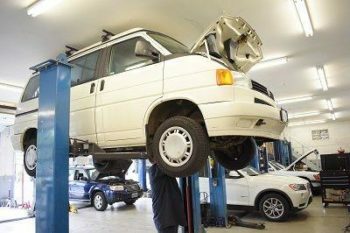 Yet the rarity of these vans presents a challenge for most van owners who need a quick tune-up or major repair. Luckily, Steve’s Imports’ auto repair shops have the parts, service, and necessary know-how for fixing and building out your beloved camper, Westy, or luxury surf wagon. We turn any old Eurovan, Vanagon, or VW Bus into the ultimate #vanlife abode. 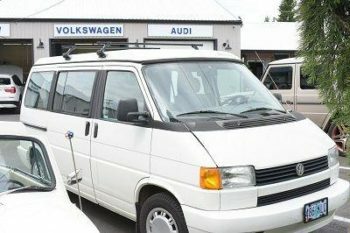 All a vintage Volkswagen van needs is a little love–and a lot of service, replacement parts, upgrades, diagnostics, and repairs. 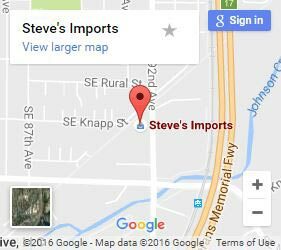 That’s where Steve’s Imports comes in. Ever since 1992 when Vanagons and Westfalias were mint condition, our mechanics know adventure wagons inside and out. Plus, we restore vans to their classic appearance with original or custom colors. Plus we repair dents, remove rust, and build-out custom features to make your van a home away from home. Since 1992, Steve’s Imports has had a front-row seat to the different makes and models of our customer’s vans, and we’ve seen just about every one-of-a-kind modification, camping setup and configuration out there. Campers, weekenders, and every build in between. 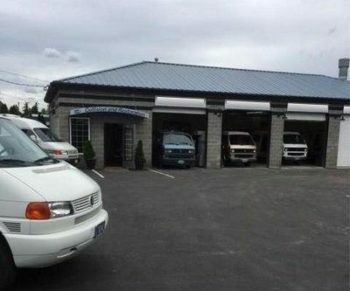 Our import car repairs don’t stop at the Eurovan, we work on everything foreign. From BMW and Mercedes, to Honda and Toyota, we can get you going again. With character comes a unique set of issues. Though not as complicated as other European engines might be, the Eurovan’s engine requires its technicians have a good sense of the typical problems that come with age. Timing chain failures are a very commonly needed service for the VR6 Eurovan engines. The timing chain is located on the back of the engine which means that the engine must be removed to properly perform timing chain, tensioner, and guide replacements. Timing chain failure becomes apparent when the engine becomes noisy with a clanky sound while at idle. Cooling system failures are typically due to age. Being the newest Eurovans in the US are over 15 years old, the cooling systems are typically in need of updating. Eurovan cooling systems are pressurized, and with extensive heat and pressure, and lots of plastic parts, these vans typically will need cooling system repairs at some point. Water pumps, cooling flanges and expansion tanks are among the common cooling system parts that we replace. If your cooling issues resulted in blown head gasket on your VR6 or 5cyl Eurovan, it can still be repaired. It is important to have the cylinder head bench tested for warpage and inspected for cracked. It is also important to inspect the timing chain guides and tensioner, as well as cooling system components during this repair. Suspension service and upgrades are a must if you have a Eurovan Camper. The added weight of the camper do to the kitchen and cabinets. It is important to be particular when upgrading your suspension. You will notice the difference between heavy duty Bilstein vs standard shocks. Also leveling kits are important to compensate for added weight which will improve handling. 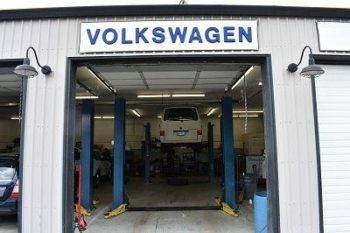 Lift kits are becoming increasingly popular with the Eurovan. For the real adventurer, a lift kit not only looks awesome but get you off the beaten path. Eurovan Westfalia and Winnebago have a canvas tent that is prone to wear and tare. If you have a tare in your pop top or it is just plain old and gross, we have options for custom or factory style tents for your Westfalia or Winnebago. The check engine light on your Eurovan can be quite frustrating. However, there is a very specific procedure for confirming the cause of your check engine light. We commonly find brittle and broken vacuum lines on the VR6 engines that begin to leak causing lean faults. There are many components that can cause a check engine light to illuminate and it is important have your VW diagnosed by experienced VW mechanics. Heating and Cooling issues can, unfortunately, become an issue. Never an enjoyable experience you are camping at your favorite festival on a 90-degree day and your A/C won’t work. Or when you just finished skiing and your heater won’t blow hot! A/C compressors are components that can fail as well as heater cores and Heater/AC resistors. It is important that if you start noticing a lack in your heating or cooling systems performance, to get it checked out by an experienced Volkswagen mechanic. There are countless upgrades available for the VW Eurovan making it an incredibly popular van for the family or the adventurer. Some people even go as far as living out of their VW van! Popularity for its mixed-use has created a culture of VW Enthusiasts around the world that drive these amazing machines. If you are looking at joining the Eurovan family and want to have us perform a pre-purchase inspection for you, we would be happy to help you get to know your van. Want a little (or a lot?) more power for your Vanagon? Steve’s Imports has experience providing the classic Subaru conversion. Vanagon owners can practically double their engine’s horsepower. These straightforward engine swaps are the ultimate way of giving your Vanagon the edge it needs to take the road. Thinking about the conversion? Call Steve’s Imports today. Eurovans are a unique vehicle that were made from 1990 to 2003. They included a 2.5 liter 5 cylinder engine that VW offered till 2007 before switching to the 2.8 liter VR6 engine that was used until 2003 when the vans were last sold new in the US. The Eurovan has become very popular for its versatile use as a daily driver and recreational vehicle. The Eurovan’s predecessor, the VW Vanagon was discontinued in the US in 1991 and was the last of an era of rear engine vans produced by VW. The Eurovan has many different attributes than it’s earlier Vanagon model and is popular for its smoother running, added power, and better handling. Sometimes, you’ve just got to know where to look. Where Eurovans are a mystery to others, they’re a mainstay for us. Because Steve’s Imports has decades of first-hand knowledge repairing every year, make and model of Eurovan, our team is able to make troubleshooting, diagnostics and repairs as efficient as possible for all of our customers. If there’s one thing our customers are worried about when they bring in their Eurovan for repair, it’s the cost. 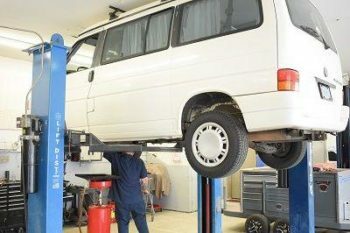 Because of the scarcity of parts and overall lack of ability most shops have when it comes to working on Eurovans, good help is hard to find – which can make it expensive. And for just about anybody who needs it, we’re always got financing available to make things easy. Request a quote on your Eurovan repair. For all your import auto needs, join our family! We'll take care of you and your vehicle. © 2019 Steve's Imports. All Rights Reserved.